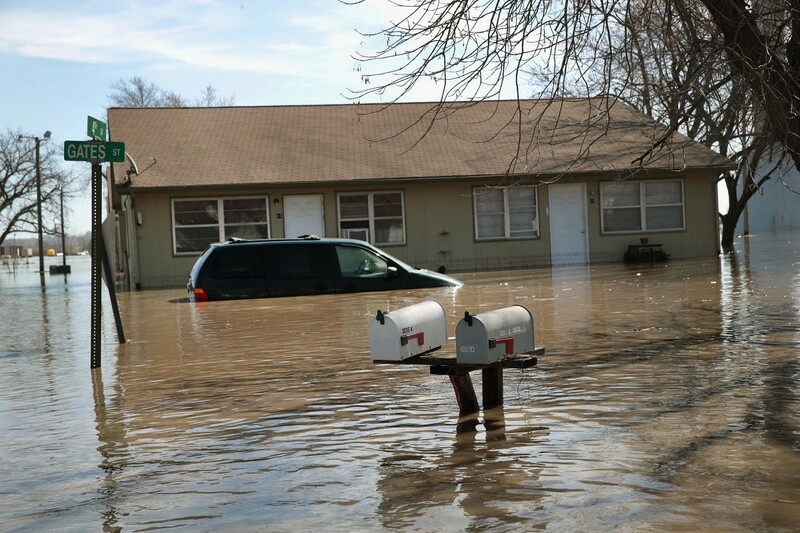 An apartment building is surrounded by floodwater on March 22nd, 2019, in Craig, Missouri. The United States is bracing itself for yet another storm set to hit Wednesday and Thursday. 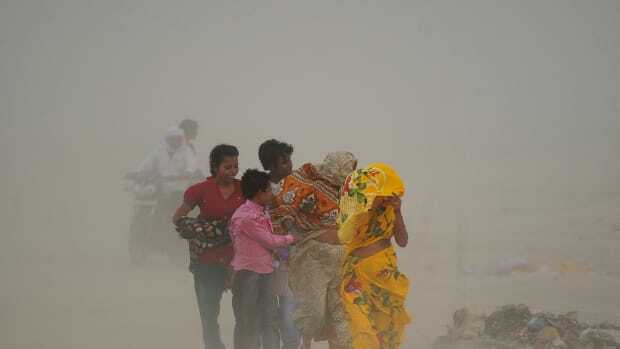 The storm&apos;s effects will range from heavy snow and rain to powerful winds, varying by location, according to the Washington Post. The northern plains—including parts of Iowa, Nebraska, and Minnesota—have received blizzard warnings, and are forecasting 12 to 18 inches of snow. Forecasts for parts of South Dakota include more than 24 inches of heavy, wet snow. Areas from the Continental Divide to the Great Lakes region have also received winter storm warnings. Meanwhile, a major wind storm is forecast to hit the South, with parts of New Mexico, Colorado, Kansas, and Texas under a red-flag warning for high fire danger. Reminiscent of severe weather that struck the country in March, the expanding storm (with potential to become the country&apos;s second "bomb cylone" in a month) will impact communities across the country. While reports continue to surface detailing high wind speeds and snowfall, here&apos;s what many Americans will likely face after the storm. After the rain and snow, warming temperatures next week could lead to flooding in western South Dakota, southern Minnesota and Wisconsin, and northern Nebraska and Iowa. 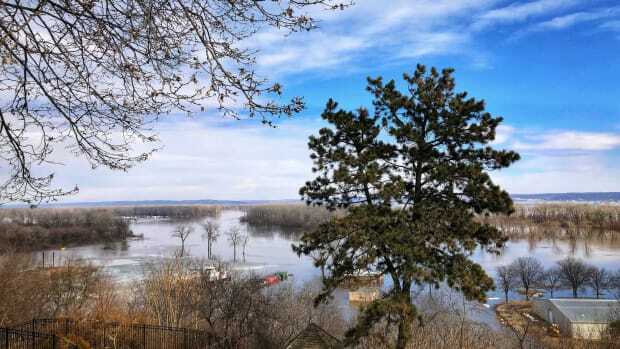 There are major flood risks around the plains and Midwest next week, including the James River, the Big Sioux River, and the Minnesota River, according to the Post. 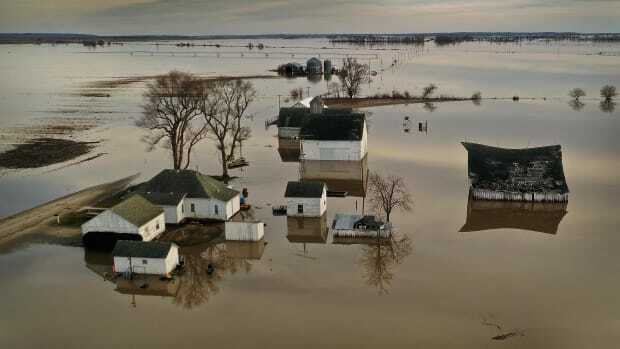 This year, the Midwest has already experienced catastrophic levels of flooding as a result of late-season snowfall, heavy rain, rapid snowmelt, and high soil moisture. Flooding that hit the Midwest earlier this year led to three reported deaths and put millions of others at risk. Some midwestern residents were stranded with limited access to resources such as safe drinking water. Others have experienced the contamination of private wells with bacteria from rising floodwaters. The bomb cyclone also led to massive economic damage, particularly for midwestern farmers. Farmers across the Midwest have reported hardships as a result of damage to stored grains, livestock, and crops. In Iowa, where grain is mostly uninsured, NBC reports that farmers estimate that they lost a total of 390,000 bushels of soy and 1.4 million bushels of corn. For some, damaged topsoil could impact yields for 2019 as well. The bomb cyclone led to more than $1.3 billion in losses in Nebraska alone, according to NPR. And while the effects on American agriculture have dominated conversations about flood recovery, Native American reservations, such as the Pine Ridge Indian Reservation in South Dakota, have especially struggled to recover from frequent flooding as state and federal assistance remains delayed and inadequate. Is the Country Equipped to Handle Repeated Flooding? According to the Fourth National Climate Assessment, "effective water management is critical to the region&apos;s people, crops and livestock, ecosystems, and energy industry"— because the Midwest is landlocked, it is subject to variability from extreme events, and small changes in precipitation can have amplified effects elsewhere. The past five years have been the hottest on record, and the damage from repeated extreme weather events has been costly across the country, with March&apos;s floods serving as only the most recent example. The lackluster recovery in the wake of the pervasive March flooding raises a larger question: Does the U.S. have the infrastructure to deal with repeated extreme weather events? Christine A. Klein, writing for The Atlantic, says no. She goes as far as to question whether we should even be calling these events "natural disasters," arguing the weather itself is not the disaster, but rather that flawed human-built structures exacerbate the impact of the events. 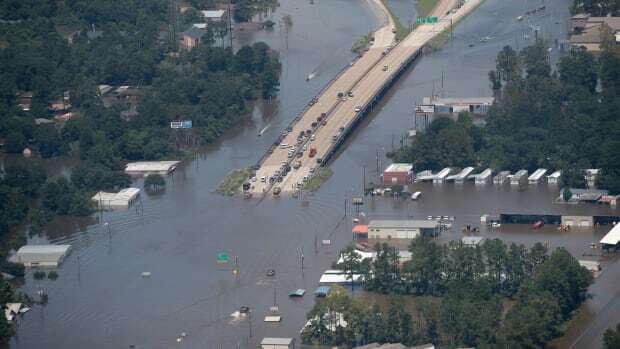 Klein gives the emblematic (and relevant) example of the country&apos;s flood control failures: Structures intended to manage flooding, such as levees, she writes, "give a false sense of security, triggering risky floodplain development behind them." Klein also notes that, according to the Pew Charitable Trusts, despite countless efforts, flooding remains "the costliest and most common natural disaster in the U.S."
Unfortunately, potential flooding as a result of this week&apos;s storm may not be the last of the season. The National Oceanic and Atmospheric Administration&apos;s Spring Outlook, released in March, warned that two-thirds of the lower 48 states would experience an increased flood risk through May. 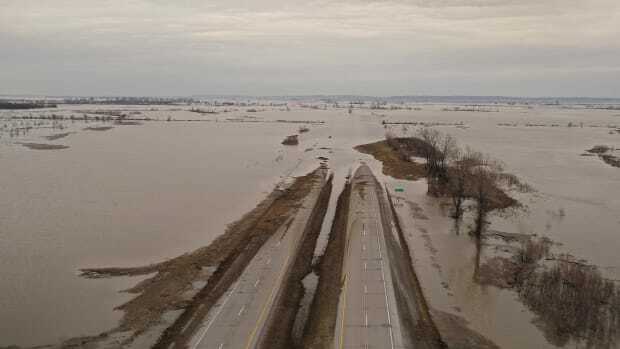 Following a bomb cyclone that dumped rain and melted snow across the Midwest, many sates, including Iowa, have experienced flooding.